The Cape Camino takes you on a spiritual journey through the Mother City’s urban and natural landscapes and will challenge you physically and emotionally. Inspired by the Camino de Santiago, the well-known pilgrimage route meandering through Spain, the Cape Camino will leave you feeling similarly enriched and at peace as you experience diverse landscapes and people along the way. At 160 kilometres, the Cape Camino is only a fraction of its Spanish sister’s scope, but it offers a similar abundance of views and visits. The route maps out the figure 8, representing the Cape’s infinite beauty, but we’ve divided the route into nine stretches with great stays along the way to ensure you rest and reflect properly after a day’s walk. It’s better to explore Cape Town in March through May and August through November, since these months have moderate temperatures. You don’t have to travel solo! Follow the Camino SA Forum on Facebook to find fellow pilgrims to join your journey. You can also organise for a recommended guide or guardian escourt to assist with navigation and safety. Each stretch has a prefered guide that can tell you about the hefty history and fab flora of the Cape! Get a Camino passport, along with maps and tips, for R380 to plan your own Camino. While you’re at it, buy a t-shirt so that fellow passport holders can spot you along the way. Remember to get your passport stamped at the indicated stops ─ it will earn you a certificate at the end. 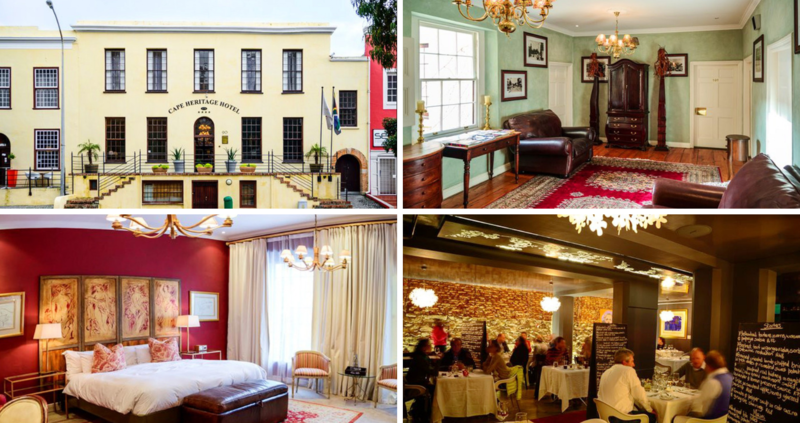 Some shops, attractions, activities and restaurants welcome Cape Camino passport holders with warm discounts and value-adds. A few community projects and sacred sites will still require entry fees though ─ do good and feel good! Cape Town often has four seasons in one day, so pack a rain jacket, hat, sunblock and sunnies. Wear comfortable walking shoes and socks, and don’t forget plasters to keep blisters at bay! Remember flip-flops and a bathing suit for those beautiful Cape Town beaches. Toiletries are heavy, so only pack what you’ll need most, like a towel, a medicine kit and 3-in-1 soap. Rather keep space for snacks and water. A map, your passport, a camera and Google Maps will definitely come in handy. Safety is of utmost importance, so remember a whistle, provided emergency numbers and pepper spray. However, safety in numbers is always the best way! 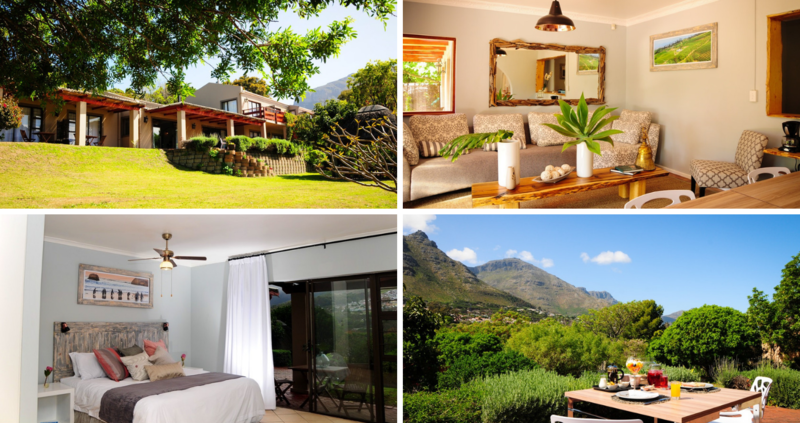 As you stand at the foot of Table Mountain, forget the crowded cable car and enjoy nature as you start your personal pilgrimage along the forest path towards the University of Cape Town and Rhodes Memorial with many inspiring stops along the way. Join in song and dance at the Hare Krishna Temple in Rondebosch. 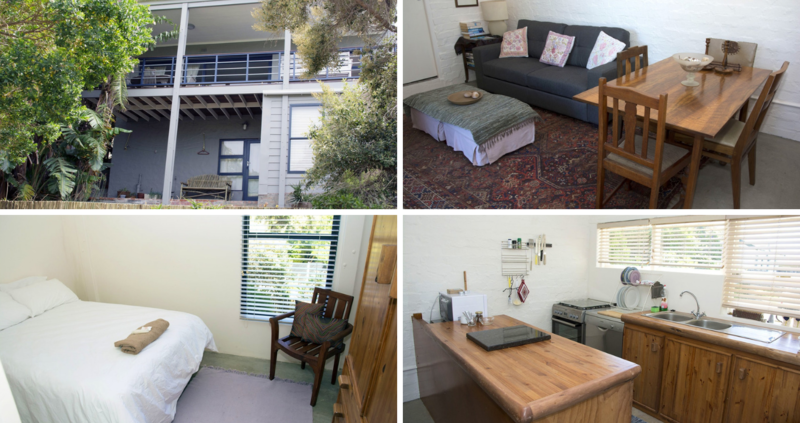 Tushita Kadampa Meditation Centre in Rondebosch will teach you about the art of meditation. Built by Newlands Brewery, the Newlands Spring Water Collection Point is the place to refill your bottle with fresh mountain water. While in Newlands visit the Sufi Temple and learn about unity and spiritual liberty. Head back to Rhodes Memorial and climb the 49 steps to enjoy the panoramic view over Cape Town. Here you can enjoy a light lunch at the restaurant in a small cottage built in 1910 or pop over to the abandoned Old Rhodes Zoo. Newlands Forest and the lush Kirstenbosch National Botanical Gardens are both perfect for a picnic or a stroll in nature! Staying on the Table Mountain Contour Path, you’ll pass two wondrous waterfalls on your way to Constantia Nek and end at La Parade in Constantia. Why not rest en route? Reward yourself for finishing the first stretch with a wine-tasting along the next leg of the Camino. Wine to water passes through Constantia winelands and ends in Muizenberg, the surfing mecca. You can either catch a wave or grab a bite at one of the town’s quirky restaurants, while watching the surfers show off. Pass De Hel Nature area, a Provincial Heritage Site, protecting a river valley and natural indigenous forest. The Schoenstatt Shrine, a tiny Catholic shrine overgrown with ivy is next and offers a sacred space as you walk through the convent gardens. It’s finally time for that well-deserved wine! Stop at Groot Constantia, South Africa’s oldest wine farm. Along the way view Kramat: Sheikh Abdurahman Matebe Shah, the burial place of a political activist and hear more about his story from Nabeel, the caretaker. Enjoy some tea and a light bite in the garden at Little Stream Restaurant. Then it’s on to Levi’s Garden, the medicinal garden of a Khoisan expert who follows the Rastafari tradition. Tracking through Tokai Park, you will reach Westlake with wholesome snacks at Green Beans Café. To end off the wine route, stop in Marina da Gama where Cape wine master, Catherine, gives private wine tastings. Follow Boyes Drive to Muizenberg. Since you are being a bit of a nomad, you can learn more about the Nama Khoikhoi’s nomadic way of life at Nama Lessons. Now it’s on to the rest of False Bay from Muizenberg to St James, Kalk Bay to Glencairn, finally reaching Simon’s Town! These little seaside villages are bustling with tourists and locals walking or taking the train along the shore. As you wind along Boyes Drive with a view of these villages and the ocean, you might just spot some whales! Take a hike to Trappieskop to see the San clan’s Peers Burial Cave. The hike stops and starts at the same spot on Boyes Drive. 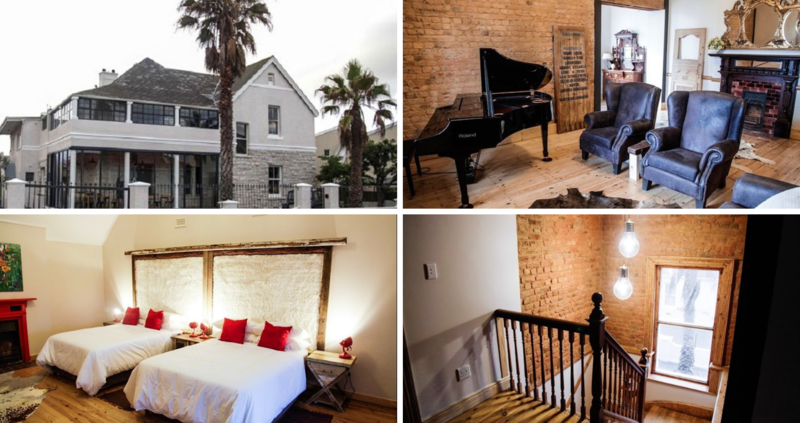 Muizenberg’s Historical Mile has national monuments, including Het Posthuis, the oldest standing building along the False Bay coastline, Rhodes Cottage Museum just up the road, the site of the Battle of Muizenberg, and the multi-functional cultural centre, Casa Labia. Take a photo in front of the colourful houses on St James Beach. Then there’s Yokohama House, a waterproof paper-maché house imported from Japan in 1906. Kalk Bay has many options for a delicious lunch along the way or you can grab a beer to quench your thirst or have some fish and chips at the harbour. Fish Hoek will take you all the way to the Rotary Labyrinth Glencairn. This three-kilometre labyrinth offers a moment to reflect on your journey thus far. Finish at Simon’s Town Harbour with a dinner at SAVEUR Restaurant. On this stretch you have reached the bottom of the 8 figure on the map. Cape Point is a bit off track, but has beautiful views and at night it’s lit up by two lighthouses. The path is rich with indigenous flora and fauna, including South Africa’s miracle herb, Buchu. In Simon’s Town, Noorul Muslim Museum is a trove of old stories. Have your camera at hand when you reach Boulder’s Beach Penguin Colony just outside Simon’s Town, because these little guys are always suited up and camera ready! You can learn more about buchu and other edible plants at the Good Hope Gardens Nursery. Stop by Cape Farmhouse Restaurant where your Camino passport will get you free coffee! Hike over Red Hill to snap a picture of the navy headquarters in Simon’s Town harbour and take a moment to see the stone ruins of Redhill Village where, during Apartheid, people were relocated to. You can walk around Kleinplaas Dam, but on a hot day we recommend going through it! This leg ends at Scarborough, the seaside conservation village with untouched beaches and mountains. Enjoy live music and pizza at Camel Rock Restaurant to celebrate finishing half of the route! 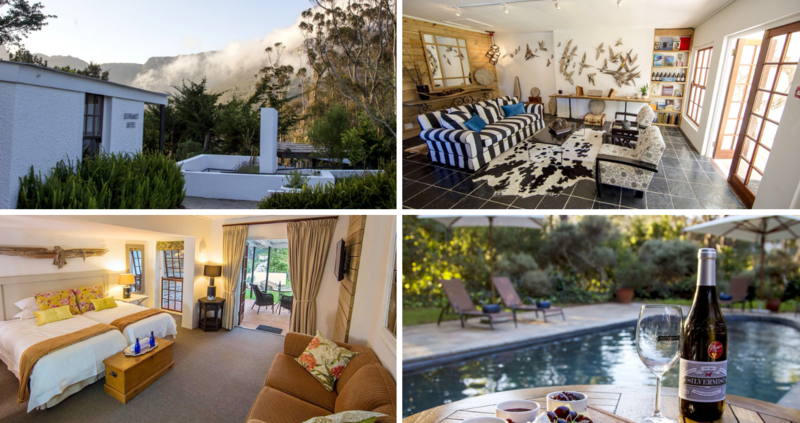 This is the best part of the route for beach lovers passing Misty Cliffs, a hamlet next to Scarborough, Kommetjie, a marine protected area, Slangkop Point Lighthouse, and ending at Noordhoek ─ the northern corner of what used to be Slangkop Farm. If you’re a brave surfer, try the ice waters and unforgiving waves of the Crayfish Factory surf spot. Soetwater Resort is sacred living grounds of the Khoisan. A guide can tell you more about the original lifestyle of the Khoisan clan. Stop at Slangkop Lighthouse, South Africa’s tallest cast-iron lighthouse. It is open to the public during the week and is one of a few lighthouses that still has a lighthouse keeper. 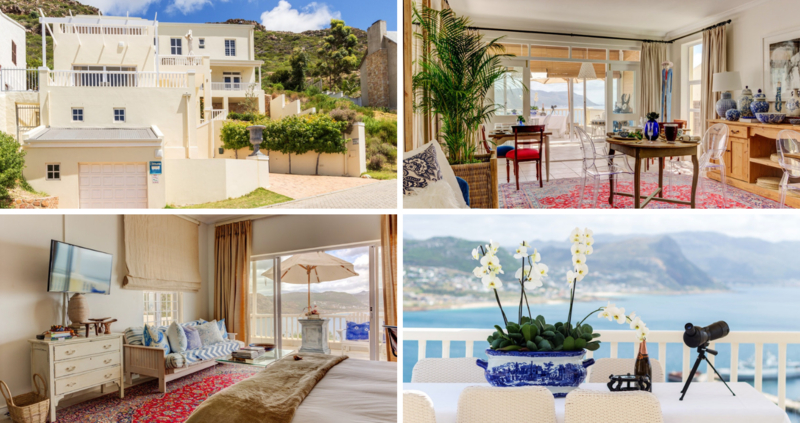 The Roman Catholic St Norbert Priory will offer a beautiful view of Kommetjie while listening to Gregorian chants. From Kommetjie you can stroll all the way to Noordhoek Beach at the start of Chapman’s Peak Drive. En route from Noordhoek you’ll traverse Chapman’s Peak, one of the world’s most scenic drives. Opt for an Uber to the start of the Chapman’s Peak Hiking Trail, as the pass isn’t pedestrian friendly. On your way, you’ll pass historical landmarks and drive through the half-tunnel toll gate hugging the mountain on the one side while offering the chance to marvel at the depths of the Atlantic Ocean on the other. Indian Oven, on Chapman’s Peak Drive, offers a free drink with every meal for passport pilgrims, ideal to load with carbs before having to walk again. Leave the wheels and use your heels at Chapman’s Peak Hiking Trail to take in a 360° view of the Peninsula. Spot Ivan Mitford-Barberton’s bronze leopard sitting on a rock at the end of the hike. It memorializes the wildlife that used to roam these mountains. You’ll end at Constantia Nek, forming the centre or the infinity symbol on your map. 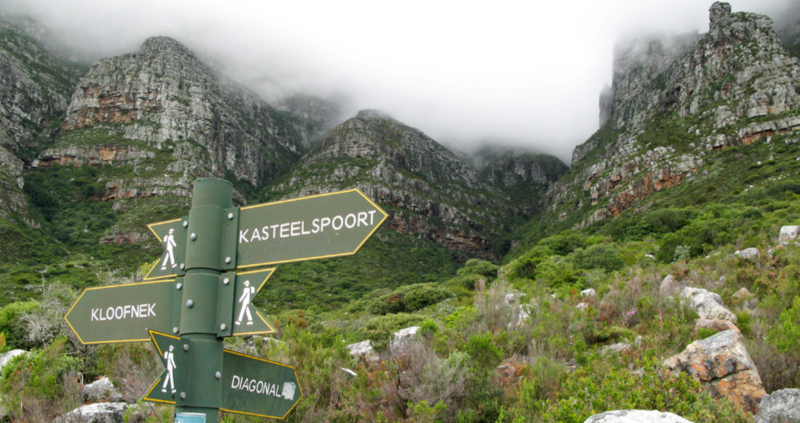 Karbonkelberg is a small ‘bump’ that forms part of Table Mountain Nature Reserve and offers such a magnificent view that Hout Bay simply had to be added as an extension to the Camino. It’s particularly special due to the sand that has blown against it, making it look like a dune. In Hout Bay, the East Fort Battery canons make for a marvellous photo with the ocean and mountains in the background. Support the disadvantaged women of the community at Original T Bag Designs where products are created from dried-out tea bags. 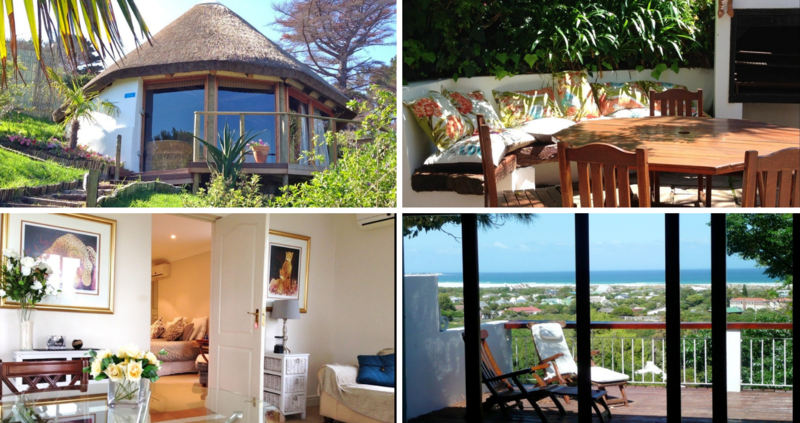 Hout Bay Gallery or HBG Art showcases original artworks of talented South African artists. Hout Bay Harbour is the perfect spot to meet the locals, eat fish and chips and perhaps spot a seal in the water! As you walk to the harbour, local artwork like Rugare Art and unique handcrafted products, must be seen at the Harvest Centre! Urban brewery here stays open late, so quenching your thirst after the hike won’t be a problem! If you time your walk right, you can go to Bay Harbour Market with food, drinks and goods on weekends. From the fisherman’s village of Hout Bay, you will pass many beaches on the Atlantic, each offering something unique – and you’ll wish to watch the sun set on each of them! Everyone at Sandy Bay catches an even tan ─ if you know what we mean … Over the big boulders, you will find the Boss 400 shipwreck. Llandudno Beach is an unspoilt private cove with giant boulders to sit on while being surrounded by Twelve Apostles, Little Lion’s Head and Karbonkelberg. Back in the day, Oudekraal Beach was a refuge for Muslim slaves. Today, you can enjoy a braai here and dive among the rich marine life. 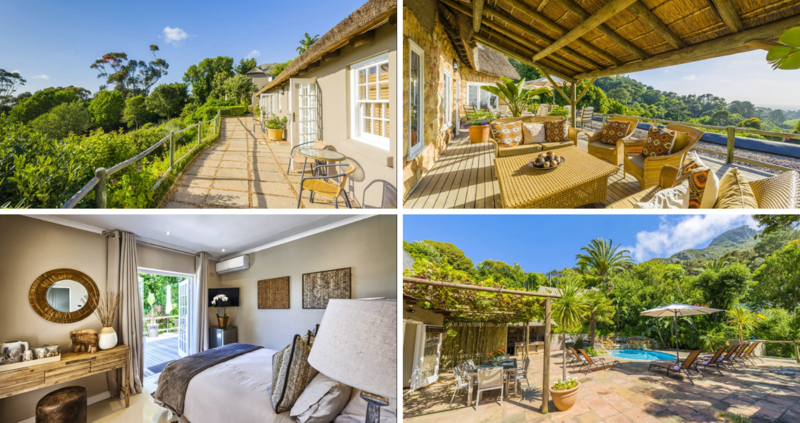 Once in Camps Bay, you’ll feel that you’ve left the smaller, quiet villages behind. Embrace the change with a well-deserved cocktail at one of the sidewalk restaurants. Now for the Clifton four! Clifton Fourth Beach is a very popular Blue Flag Beach, Third Beach is a popular spot for gay men, Second Beach is great for relaxing without a fuss, and First Beach is a favourite among the locals because it’s the least crowded. Rent a bicycle and cycle along the stunning Sea Point promenade. Ask the owner at Craft Burger Bar for the Camino special and treat yourself. Mouille Point Lighthouse in Green Point was the very first lighthouse built on South African soil in 1824. It’s red and white stripes makes it a beacon for a selfie – so don’t be shy! Green Point leads to the hub of the Mother City, a cosmopolitan cocktail of colour and culture that is well worth celebrating! From Green Point, along the coast you’ll reach the V&A Waterfront where the Silo District with its Zeitz MOCAA Museum of Contemporary Art is the newest cultural craze. The Bo-Kaap is a colourful splash of has brightly painted houses – perfect for a picture. District Six is a National Heritage Site and tells the rich story of the mixed community that used to live here. 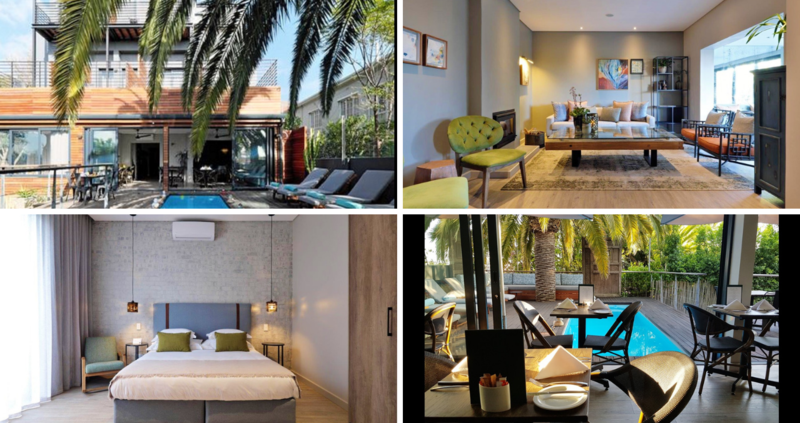 Long Street and Kloof Street are lined by restaurants and unique shops or you can leave the city behind as Bree Street connects with Kloof Nek Road leading to the foot of Lion’s Head and Table Mountain. Now it’s upwards and onwards, until you reach the University of Cape Town and finally Rhodes Memorial, where you can have a final look at the city you’ve just explored. After leaving your infinity mark on the Cape Camino, the stamps in your passport will earn you a certificate, but the real prize is not tangible. You win with the memory of all the beauty that Cape Town has to offer. You win with the joyous feeling you get when thinking of people you’ve met along the way. You win when you remember the things you’ve learnt about the landscape and history of the Cape. You win knowing that you’ve walked 160 kilometres. You win because the Cape Camino called, and you answered!